Pool skimmers for above ground swimming pools are available at low export price. Replacement parts for skimmers are also available. One of the most important pool accessories, swimming pool skimmers remove debris from pool so that the water is clean. Pool skimmers are important for above ground and in-ground pools. They are installed near the surface of pool to catch floating debris before it sinks to the bottom of pool. 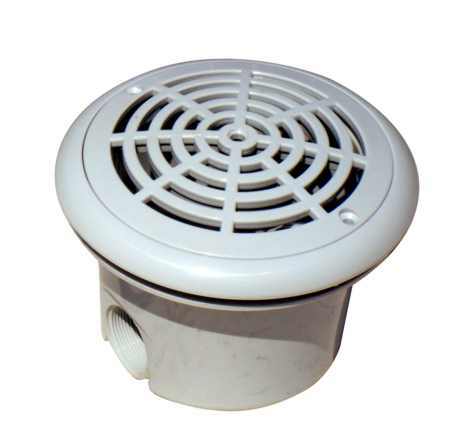 Pool skimmer parts include a basket, a lid, and an open channel through which water flows. Above ground pool skimmer and inground pool skimmer are not the same. Above-ground pool skimmers have a faceplate and they are installed in the wall of the pool. Inground pool skimmers are set into the concrete of your pool making them stronger than above ground pool skimmers but also more difficult to replace. Pool skimmers for above ground pools are installed into the wall of pool by setting the faceplate on the inner portion of the pool and the pool skimmer on the outside of the pool. This means the pool skimmer and the faceplate seal the pool wall and liner between them. Water is then pulled through pool skimmers which also forces debris through the skimmer where it gets collected by pool skimmer baskets. Pool skimmer basket must be emptied to avoid blocking water from flowing through the skimmer. Swimming pool skimmers are a must have for both inground and above ground pools. Our Pool wall skimmer export price are low.